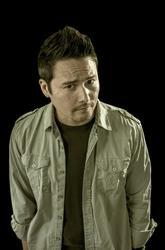 Johnny Yong Bosch got his start fighting giant bugs as Adam Park, the Black Ranger on "Mighty Morphin Power Rangers." It is a role that he would play for three and a half seasons on TV, two motion pictures and two special guest appearances in future "Power Rangers" seasons. After "Power Rangers," Bosch became involved in voice-over work for various titles. His first major voice acting role was Vash the Stampede in "Trigun." He later went on to play the voices of Kaneda in "Akira"; Renton in "Eureka Seven"; Albert in "The Count of Monte Cristo"; Kiba in "Wolf's Rain"; Itsuki in "The Melancholy of Haurhi Suzumiya"; Ichigo Kurosaki in "Bleach"; Lelouch Lamperouge in "Code Geass"; Izaya in "Durarara"; Guren in "Tenkai Knights"; Yukio in "Blue Exorcist"; Sasori in "Naruto"; Nobita in "Doraemon"; Artemis in "Sailor Moon"; Nagate in the Netflix original "Knights of Sidonia"; Nate in "Yokai Watch," and many more. His voice can also be heard in numerous video games, providing voices for Nero in "Devil May Cry 4"; Kuhn in ".hack//G.U. "; Adachi/Narukami in "Persona 4"; Almaz in "Disgaea 3"; Emil in "Tales of Symphonia"; Guy in "Tales of the Abyss"; Firion in "Dissidia Final Fantasy"; Bumblebee in "Transformers: War for Cybertron"; Yang in "Street Fighter IV"; Zero in "Marvel vs. Capcom 3"; Yukimura in "Sengoku Basara"; Torian Cadera in "Star Wars: The Old Republic"; and Kung Jin in "Mortal Kombat X." Bosch is also the frontman for the bandEyeshine, the winners of Ford Motor Company's worldwide band search and produced by Grammy Award-winning producer Don Was (Rolling Stones, Elton John, John Mayer, etc.). They've played Warped Tour and Ernie Ball's Rockstar Energy Drink Uproar Festival, as well as having their music chosen for promotional use in the Call of Duty Endowment project. Eyeshine is also known for recording the song "Love Psalm" with Mary Elizabeth and Akira Yamaoka for the game "Silent Hill: Book of Memories."